with Leger Galleries, London, August 1996. Peter Paillou was born in Westminster and later lived in Islington and Marylebone. He painted for Thomas Pennant the zoologist, Sir Joseph Banks the explorer and President of the Royal Society and Taylor White, a wealthy natural history collector. 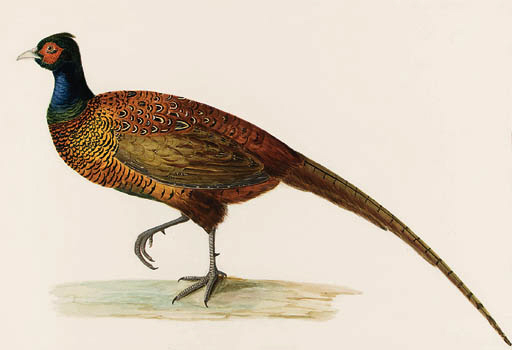 He was employed principally to paint watercolours of individual species; a large number of his works were reproduced as etchings by Peter Mazell, for T. Pennant, The British Zoology, 1761-1766.